Rakhi Jain and Jyoti Sagwekar (Award Leaders) from Bombay Cambridge School, Andheri West, Mumbai narrated the experience of teachers and participants at the Bronze Level of their Award Journey. Deeksha Pal, who lead the students for the Service section, said that this was a heartwarming experience. Says Deeksha, "Every time the students accomplished something, I felt proud. While I was teaching them, I learned a lot about myself. My students were really happy and kept praising us, saying that I was a wonderful teacher. Students who used to hate Maths soon started enjoying it; those who didn't enjoy English learned to admire it. This was such a positive experience that I believe that everyone should try teaching at least once in their lifetime." 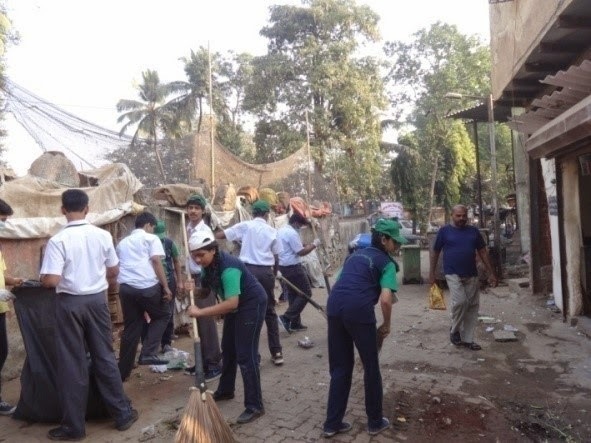 Mubasshira Shaik says, "The Cleaning drive experience didn't only leave our school and surroundings clean but also left us proud of ourselves. We cleaned the streets armed with brooms and gloves, dug compost pits and spread awareness among local people by rallying across the streets of J.B Nagar and Chakala with posters prepared by us. Apart from this we also molded ourselves for a better and cleaner future. We also hope that our initiative will motivate and leave an impact on society." Disha Shetty said that the music sessions conducted for the Skills section served as music therapy. It made participants realize the essence of music in their life. Parth Dand explained how the sessions that they were exposed to during Physical Recreation not only helped them to improve their skills in field events like shot putt and long jump, but also served as a stress buster.